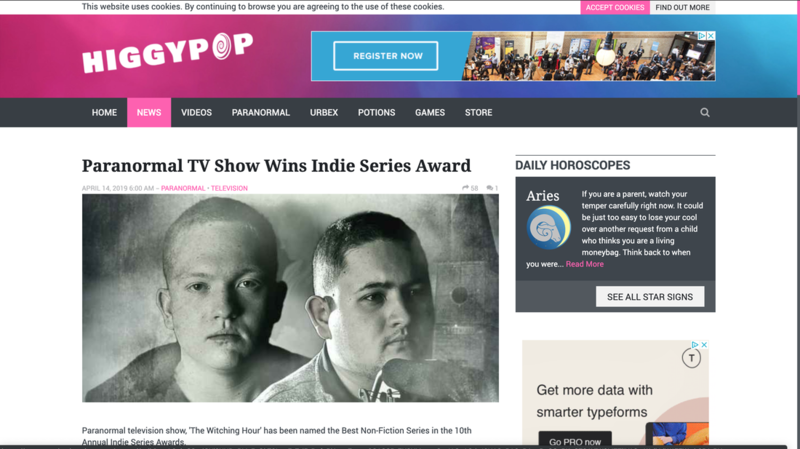 Paranormal television show, 'The Witching Hour' has been named the Best Non-Fiction Series in the 10th Annual Indie Series Awards. 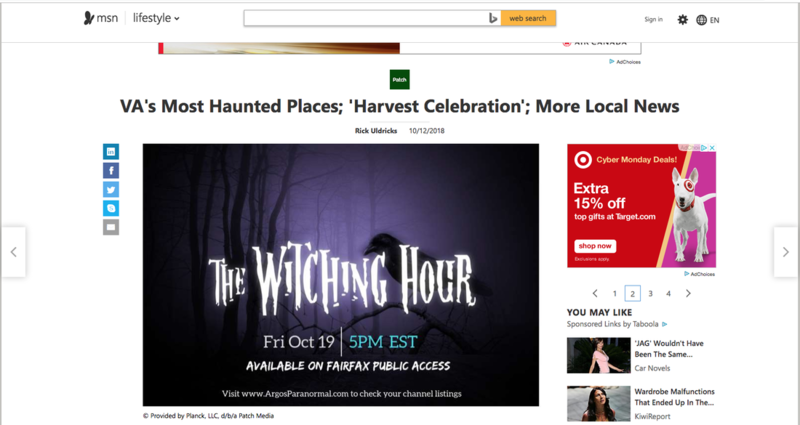 Back in October I shared information about the premiere of “The Witching Hour,” after the show’s producer, Ryan Martinez, reached out to tell me about it. 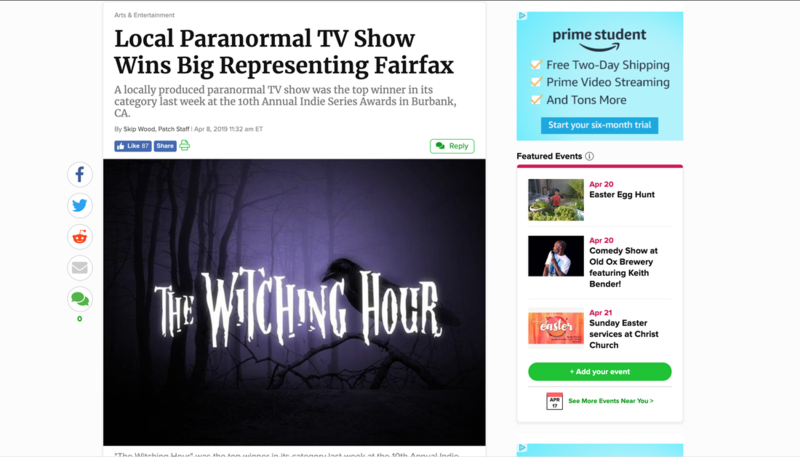 Ryan recently shared an exciting update with me about his show: “The Witching Hour” was named the Best Non-Fiction Series of 2019 at the 10th Annual Indie Series Awards on Wednesday, April 3rd! 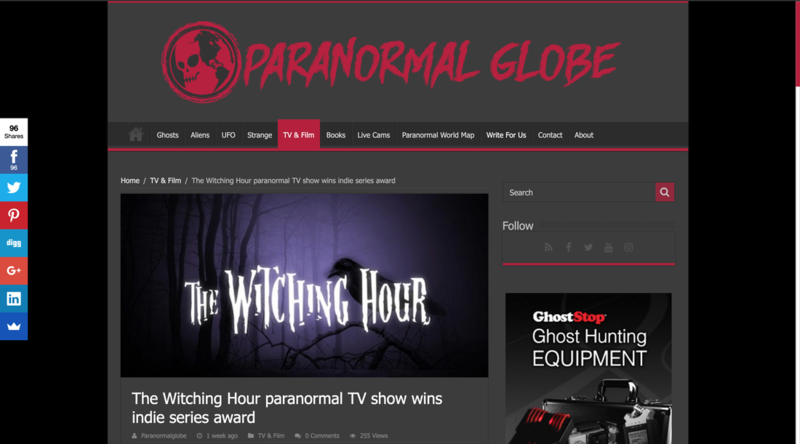 A locally produced paranormal television show was the top winner in its category last week at the 10th Annual Indie Series Awards in Burbank, CA. "The Witching Hour" was named the best non-fiction series for 2019. The winners of the 10th Annual Indie Series Awards were revealed on Wednesday, April 3 at The Colony Theatre in Burbank. 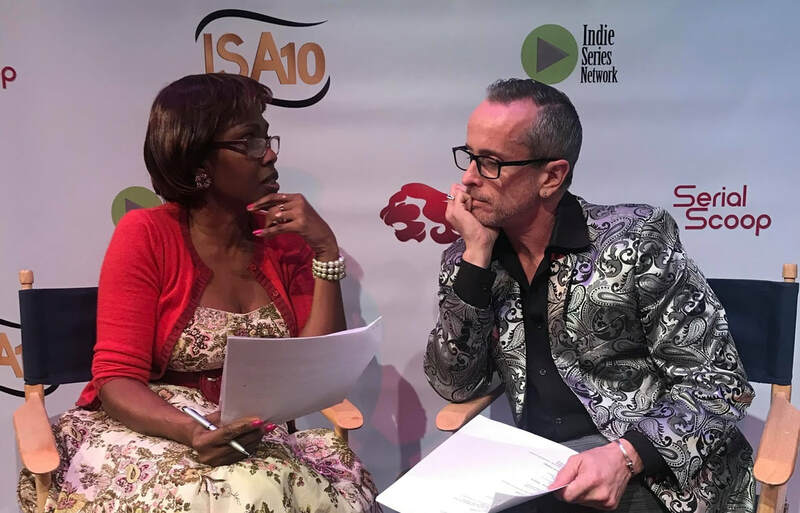 The ISAs celebrate the best in independently produced entertainment created for the Web. 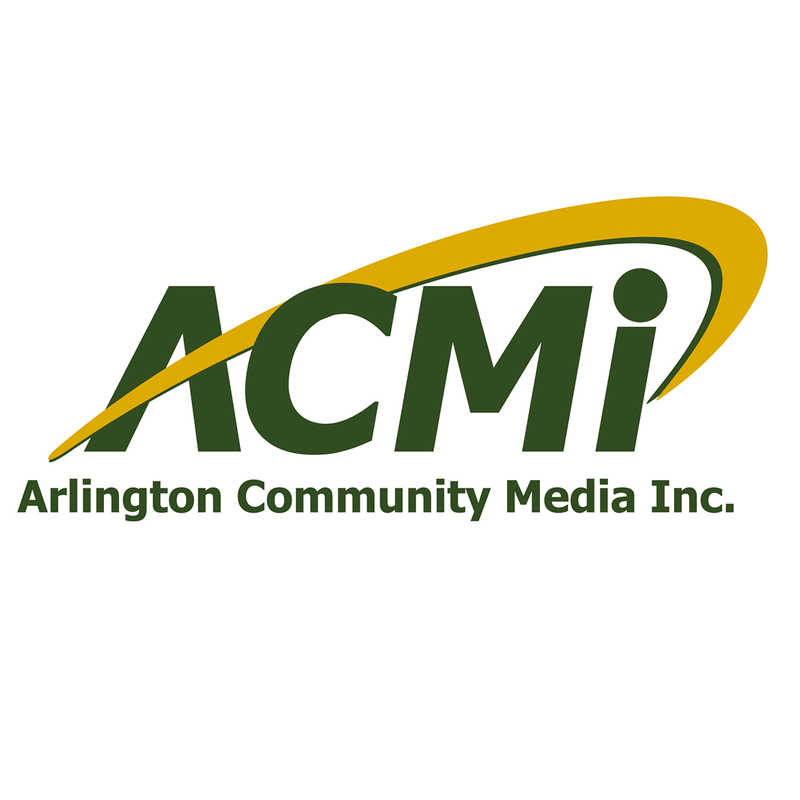 Pic credit: Arlington Community Media Inc.
Investigators from an organization called Argos Paranormal produce “The Witching Hour,” which they describe as a paranormal show that investigates the locations that locals fear and no other show has ever dared to investigate. 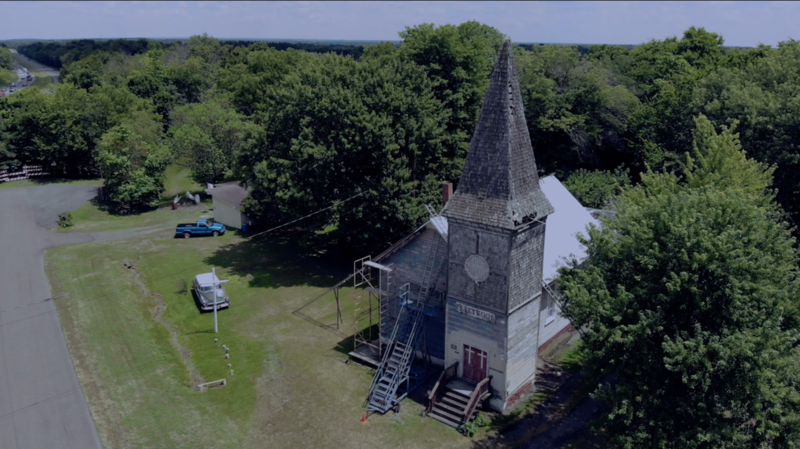 Paranormal-activity sleuths who have filmed Brandy Station’s Graffiti House and Fleetwood Church are gaining traction with cable-TV and YouTube chronicles of their investigations. 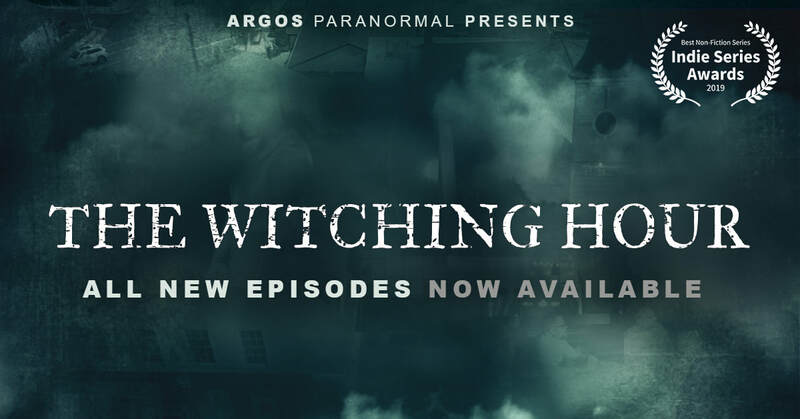 Local paranormal investigators with Argos Paranormal will be investigating the hauntings inside the Fleetwood Church in the fifth episode of their TV series The Witching Hour. 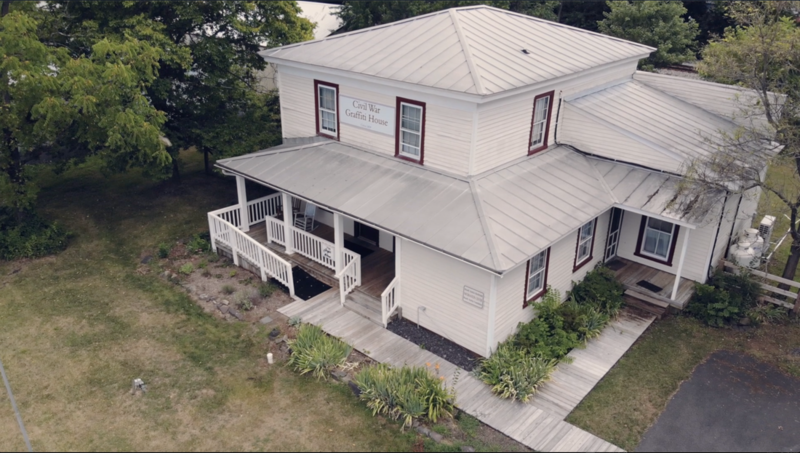 Many folks who have lived in Occoquan for a while certainly have heard stories about the spooky history of the Occoquan Inn, and now the tale will be told to a broader audience this weekend and the next. Is the Graffiti House in Brandy Station the most haunted location in Culpeper County? 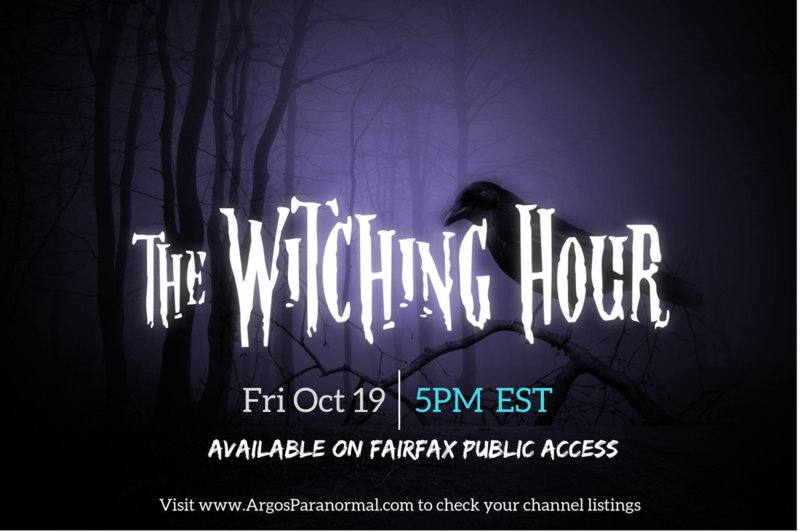 Well, local paranormal investigators with Argos Paranormal will be attempting to answer that question through their Fairfax Public Access and CAM Erie show The Witching Hour. 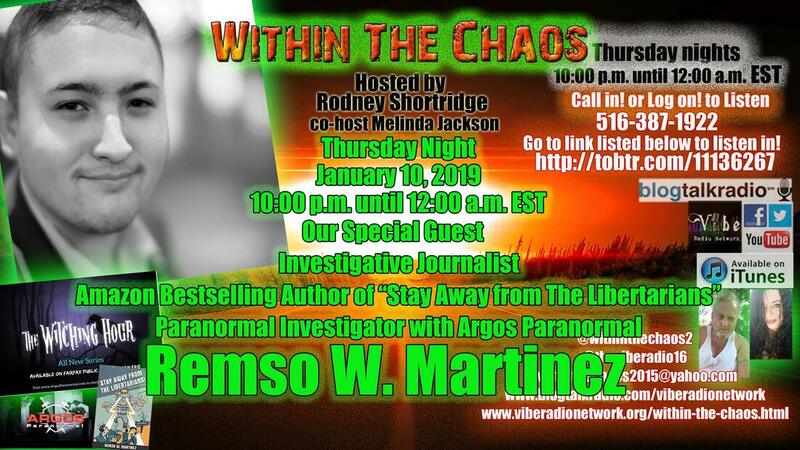 Aaron interviews Remso Martinez of Argos Paranormal about their new TV Show, "The Witching Hour!" "What separates this show from the other paranormal shows currently on air is that the investigators of Argos Paranormal, who are all residents of Northern Virginia, have a collective background in media and journalism with the knowledge and experience in the occult and paranormal. With all of this experience, it enables the investigators to analyze evidence from a perspective of proof and logic." Is the birthplace of James Madison one of the most haunted sites in Virginia? Well, the new Fairfax Public Access show The Witching Hour will be attempting to answer that question. 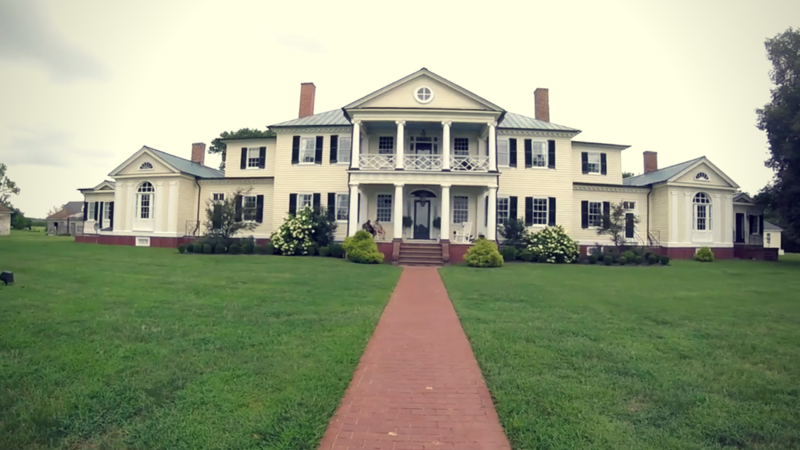 The first episode of the show follows the investigators of Argos Paranormal as they investigate Belle Grove Plantation in King George, VA, the birthplace of James Madison (fourth president of the United States). Have you ever wondered what goes bump at night? 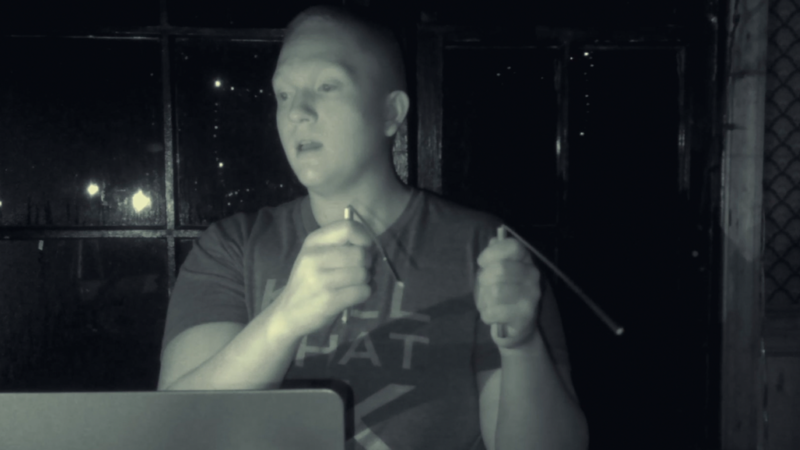 Well, coming just in time for Halloween, The Witching Hour will go where no other paranormal show has gone before as the investigators of Argos Paranormal will be investigating locations that the locals fear and no other paranormal show has ever dared to investigate.